Best Buy is expanding its same-day delivery service to ward off aggressive competitors. Starting on September 6, the electronics retailer will offer same-day shipping in 27 cities in the US. That's double the number of cities available previously and includes San Diego, Denver, Austin, and Tampa. By the end of the year, the company expects the service will expand to 40 cities. Best Buy is also reducing the price of the same-day delivery service from $14.99 to $5.99 per order, as well as expanding the list of products eligible for the service. One of two third-party contractor couriers will make the delivery on behalf of the retailer. With the new service, customers who place their orders on BestBuy.com and elect for same-day shipping by 3 p.m. (2 p.m. on Sundays) will receive their packages by 9 p.m. that day. "We have always wanted to help our customers get their purchases from Best Buy how and when they want them," said Allison Peterson, president of BestBuy.com, said in a statement. "Our stores have always been an option, but we know that there are times when a customer wants their items delivered to them quickly. We're happy that by the holidays, many more customers will be able to choose same-day delivery and have it be an option on more items than ever before." Best Buy, like many retailers, is aggressively stepping up its online ordering business in the wake of stiff competition from Amazon. The e-commerce giant's Prime Now service, for example, offers delivery in a matter of hours. 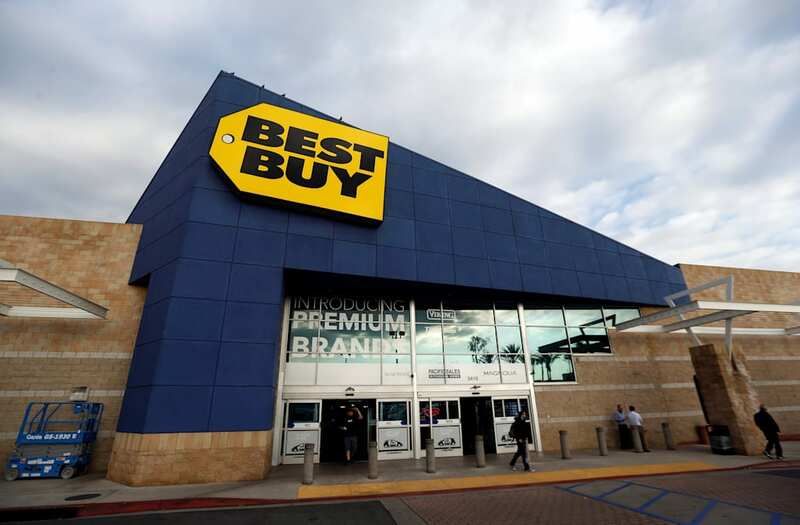 According to the Wall Street Journal, who cited data from Traqline, Best Buy is still the largest electronics retailer by sales in the US, with a 29.3% share. Everywhere you turn, you see an Apple product. Apple has truly become one of the most successful retail companies ever. Even though they're relative newcomers to the retail scene, they've managed to achieve huge success on the market with their products at their more than 400 stores. One aspect of their business model that comes with significant benefits is that they're frequently introducing new versions of products. If you really think about it, it's remarkable how a company that stands for technological innovation and new trends relies on the old ways of conducting sales and customer service. But, what would you expect from a company with an endless parade of gadgets that often require instructions? Trained and informed staff to the rescue! Diamonds are still many a girl's best friend. And ladies still need to go into the store to see if it's the right fit. Tiffany and Co. know exactly what they're selling. They're on top of trends and innovation, but still follow the traditional way of sales. Tiffany and Co. was founded in 1837 and their flagship Manhattan location has been featured in numerous movies. They have 260 stores. Lululemon sells yoga, running, fitness and sports apparel. Consumers flock to their stores as it gives them the opportunity to try out the clothes before buying. Let's be honest, most of us need a little extra time with the clothing to see if it fits us right, or gives us optimal flexibility on the track, mat or anywhere else. Lululemon Athletica was founded in Vancouver, British Columbia, Canada in 1998. The company has more than 350 retail locations now. The Coach brand dates back to 1941. Even back then, their brand stood for quality luxurious leather goods - all items that consumers want to feel, see and try on in person. After more than 75 years in business and adapting to the changing trends, their leather products are still going strong on the global market. They have roughly 1,000 retail stores all over the world. Select Comfort is a company that sells adjustable firmness beds and other sleep related accessory products. If you're like most people, you want to go into the store itself to see if the bed is right for you. The company has more than 400 retail stores. Since comfort and sleep are never going to go out of style, that number may grow. Here we have another popular luxury lifestyle brand. Kors handbags, shoes and watches are a huge drawing card when it comes to walk-in customers. Michael Kors Holdings has over 500 retail stores and is working to grow even further. If their consumer loyalty is any indication, they will probably do so. One of their current strategies appears to be to open retail locations in airports. This is a company that makes expensive and fashionable jeans, among other things. Most of us wouldn't risk an online purchase with such an item. True Religion was founded in 2002. In only 15 years, they've managed to become a successful global brand. They have more than 100 stores with the latest in premium denim averaging roughly $170 per product. Home is where the heart is so it should come as no surprise that people want to nurture their homes and continually make improvements. That's where Home Depot comes in with informative staff ready to give you insights to help make your home improvement dreams into reality. The company currently has more than 2,200 stores, the same figure it had at the start of the Great Recession. They've managed to maintain their brick and mortar presence with explosive profits buoyed by more than 30% growth in sales figures. Vera Bradley offers handbags, quilted cotton luggage and stylish accessories for women all over the world. They have 70 stores in total. All of their products are available in their branded stores, as well as in various other stores worldwide. Birks and Mayors is what you get when jewelry giants Mayors Jewelers, as well as Henry Birks and Sons Inc. join forces. It's perhaps the most famous brand for jewelry, timepieces and silverware in the U.S. and Canada. While the company only has 67 stores, they do incredible business. Considering the hefty price tag attached to the vast majority of their products and the personalized touches so many like with their jewelry, their retail business continues to thrive. What does all of this brick and mortar success prove? Companies that offer exclusivity, excellent customer service, and are willing to keep on top of trends, will achieve long-term success. In the end, it all comes down to service. That's why brick and mortar companies aren't dead and they'll remain a force for a long time.